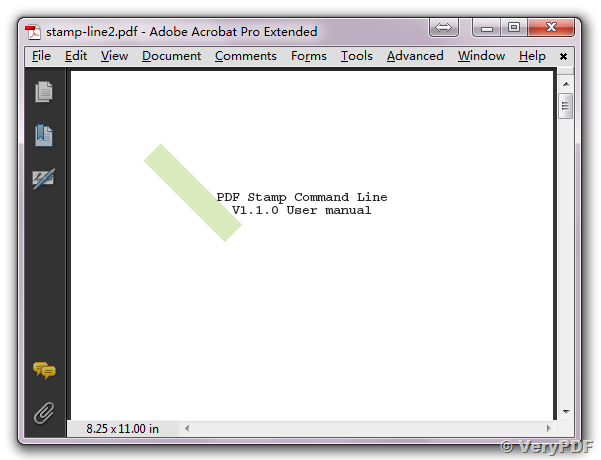 I bought pdfstamp command line and I am having some issues with the graphics option. I need to stamp a vertical line at the edge of the page, just like I can do with the text. I can have the line horizontally stamped at the top, middle or bottom of the page but I cannot have it vertically stamped at the left or right edge of the page. How to add line stamp? How to stamp PDF with text by command line? 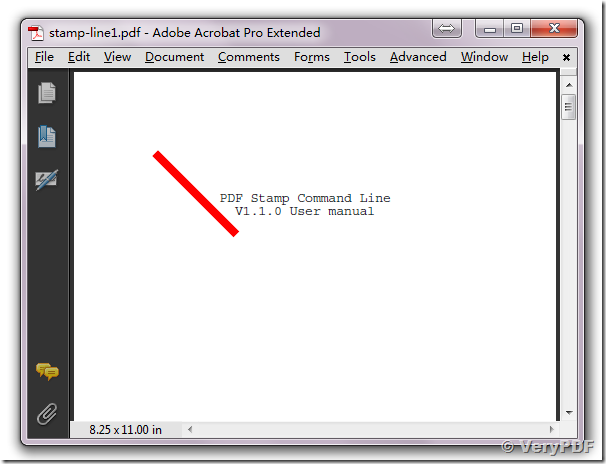 What's the difference between veryOpen and veryOpenEx functions in PDFStamp SDK product?